The vertical jumps are going to be important in the team battle for Cornell and Princeton as there are many athletes from both schools in scoring contention in these events. As a result, each attempt or miss can greatly impact the point spread. Princeton is capable of getting up to 18 points in the pole vault behind Adam Bragg and August Kiles. Bragg has been slowly approaching the conference record of 18-01 ¼, becoming the third man in conference history to break 18 feet during the season. 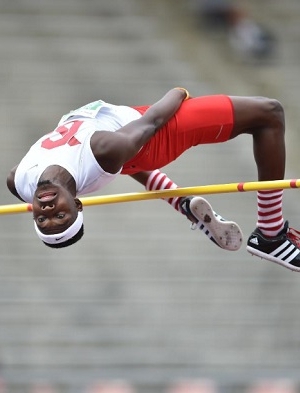 Can he become the second Ivy man to break 18 feet at a Heps championships? That 18-01 ¼ is also the championship record, and Bragg enters the meet with a season’s best of 18-00 1/2 and lifetime best of 18-06 1/2 that he set during the indoor season. Kiles is the only other man who has cleared 17 feet this season. Bragg and Kiles finished 1-2 in this event last year while Kiles is the Indoor Heps champion (Bragg did not have any indoor eligibility). Cornell’s main scoring hope in the pole vault is Andrew Barlow, their only athlete in the top 6, but they could be cheering on other non-Princeton athletes to break up the podium, such as Dartmouth’s Max Consulluela and Benjamin Ose, Yale’s Brendan Sullivan and Austin Laut, and Harvard’s Andrew Roney. Cosculluela has improved by almost 4 inches since this time last year and finished as the runner-up this past Indoor Heps – he’s hoping to replicate his indoor success this weekend. Sullivan has cleared 17 feet during this past indoor season and finished third at Indoor Heps. Based on the rankings, Cornell has a higher scoring potential in the high jump than Princeton as the Big Red have three athletes in the top 6 and 5 in the top 10. Senior Stephen Afadapa enters his final Outdoor Heps with the top seed as he set a new personal best last weekend in his pre-Heps tune-up. He’ll be one of two athletes entering Outdoor Heps who have cleared 7 feet this season – the other is Penn’s Mike Monroe, the 2015 Indoor Heps champion. 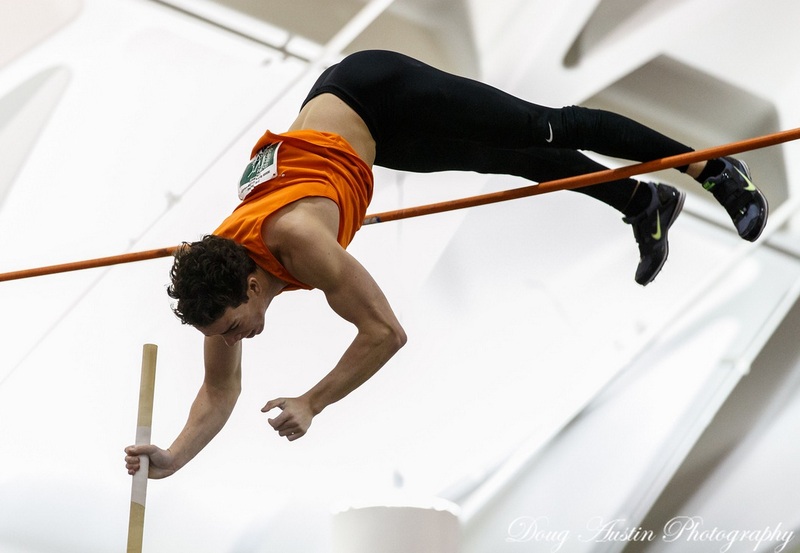 Two men are within a half-inch of clearning 7 feet – Cornell’s Myles Lazarou (the defending Outdoor Heps champion) and Princeton’s Xavier Bledsoe (the 2016 Indoor Heps champion). Bledsoe and teammate Colin Reilly are Princeton’s best hopes in breaking up the Big Red on the podium and keeping the Tigers in the team hunt. Dartmouth’s Alex Frye and Harvard’s Spencer Lemons look to break up the Cornell-Princeton podium and keep their own teams in contention for the team title. This entry was posted on Thursday, May 5th, 2016 at 11:00 am. It is filed under Heps Champs, Men, Spotlight, Team Previews. You can follow any responses to this entry through the RSS 2.0 feed.